What misteries are waiting for us out in the universe? 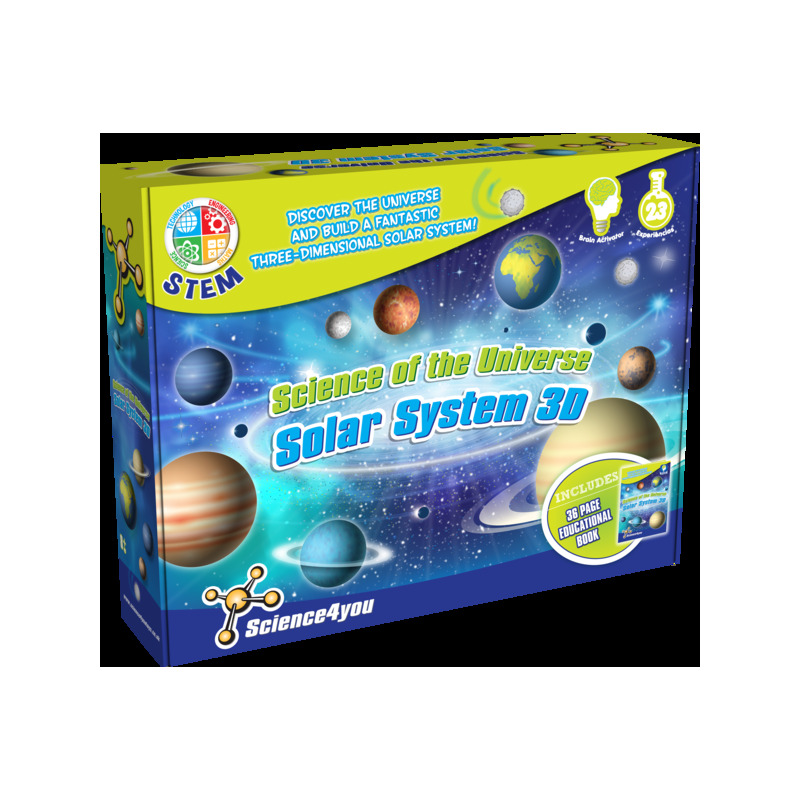 Discover it and build a fantastic three-dimensional Solar System with the Science4you Universe 3D Solar System! Get aboard for a fun spatial adventure, build your rockets and find out how the Earth's atmosphare was formed. 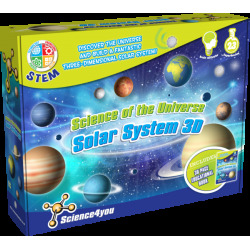 You will learn all about astronomy and the Solar System with this fantastic educational kit. 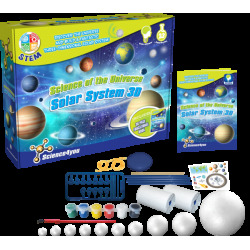 How to build a fantastic three-dimensional solar system and turn it real with a paint that glows in the dark. How to perform a cool experiment that explains how Earth's atmosphere was formed. How to enter in a fun spatial adventure by launching your rockets. How to build a constellation projector and how to use it to see them in your room. 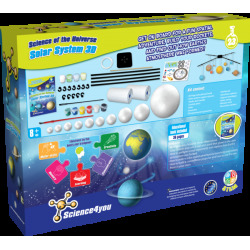 This toy includes up to 23 experiments for kids as well as an educational book with 36 pages.